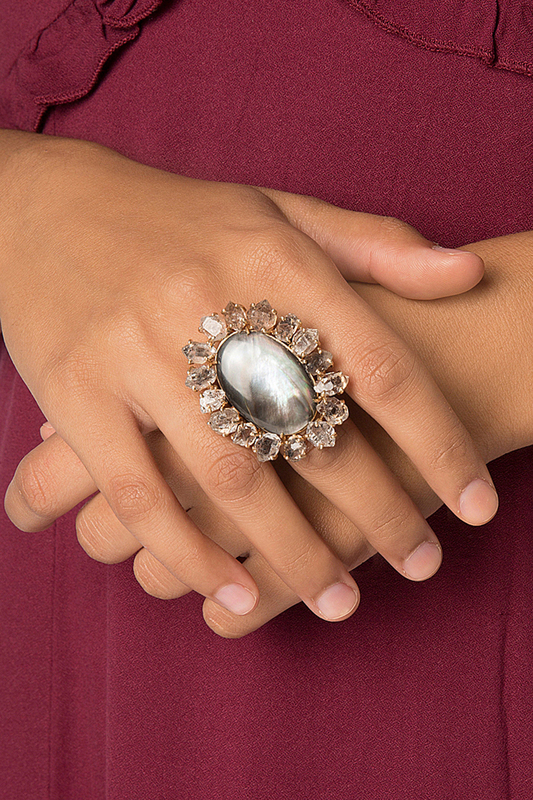 Mother of pearl ring designed by Atelier Mon at AASHNI+CO. 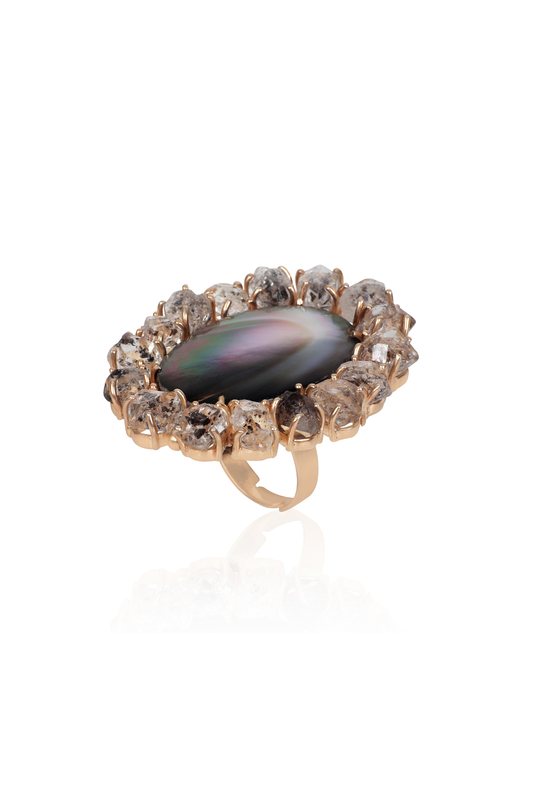 Atelier Mon designs a beautiful piece of ring customizing it with mother of pearl. 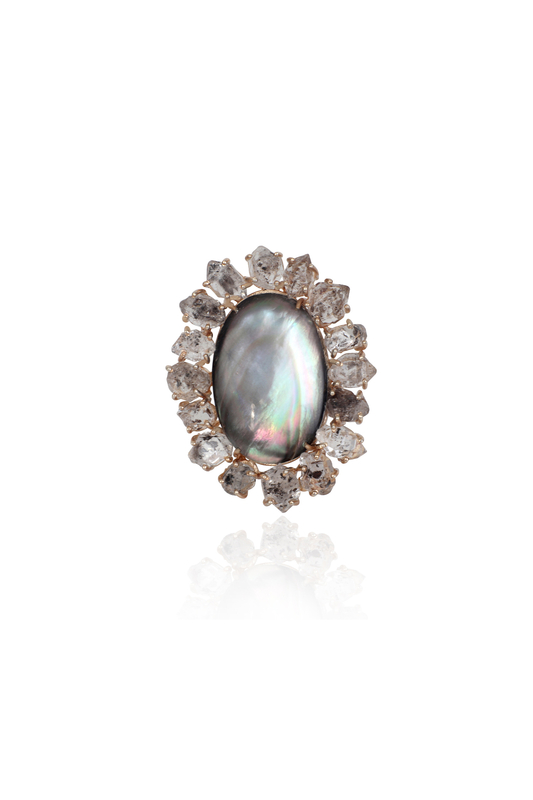 Wear the beautiful piece with any western or indo-western attire.